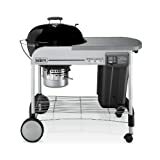 Take a look at this and many other grills CLICK HERE. Lighting A Charcoal Grill without lighter fluid is far easier than a lot of people think. All you need is a charcoal chimney a couple of sheets of newspaper and matches or a lighter. And you can have smoking coals with no chemicals.